I haven't used Logos until the newest version, Logos 5, came out. Completely new to me except for the time I saw Logos explained at a conference years ago. I've experienced two main feelings as I've learned how to use Logos 5: overwhelmed & excited. First, I'm overwhelmed. The power of Logos sounds amazing and yet I didn't find it simple. But I'm learning more each time I use it and I'm finally getting to that place where I know what to do. I've not only learned how to use it in a basic way, but I'm also learning how to use a few more advanced features and realizing the potential of having a large library within Logos. That's why after a little work I'm really excited to own Logos. This may be the best tool not only for studying the Bible but for studying any number of topics in theology and even culture. I'm excited because with further investment it can be a significant replacement of much of the research section of my library, making those resources far more useful than when owned in paper. Here's how I got started with Logos and a few things I've learned about this great tool. Early Mistakes -- I've made two big mistakes starting out. First, in the last few years I've created two different Logos accounts. I didn't realize it since I only created them try out the free app. I was logged on to one account on my MacBook and the other on my mobile devices, which made my library available on mobile but not on my MacBook. But one call to Logos for help and they had it fixed quickly by merging my accounts. Helpful, personal service. My second mistake was trying to "wing it" with Logos. I'm sure there are some who have learned to use it by just sitting down and figuring it out, but it wasn't working for me. I needed help. Starting With Videos -- Logos offers a number of videos on YouTube, of which I've viewed several. Most are very short and to the point. There's also help on Logos community forums, which I've used a few times. But the best starting place for me and I assume for everyone is the 13 minute "Getting Started" video on the Logos website. I've watched it more than once. It's an overview of the program with what to do as well as what to do when you don't know what to do. Playing it and pausing to try out Logos worked well. Next for me will be watching Advanced Training videos. Basic Features -- I'm not going into this too much because there's so much I could talk about. Watch a Logos 5 introduction to get a better explanation than I can give. What I will say is that there is so much Logos can do. I'm still only scratching the surface. Because of the kind of preaching I do I've used the passage searches more than topical. But the topic guide is a nice feature. I really like the Bible Timeline tool where you can see on a timeline what happened in history alongside biblical history, when biblical books were written, and so forth. What I'm usually scouring for in commentary introductions on one timeline. Look at the most interesting and helpful features in Logos 5 here. Resources -- There are many great resources available for Logos. The first four I searched for are Grudem's Systematic, IVP Essential Reference Library, Tyndale commentaries set, and the New International Dictionary of Old Testament Theology & Exegesis. All there. But Logos isn't just books converted to digital. You can also get resources like Tim Keller's library of sermons to search through. That's pretty amazing. Bible Reading -- I've just started a Bible reading plan through Logos - 21 Days on Faith. Logos is one of the most complex and complete ways to study the Bible, as well as a way to read the Bible devotionally. There are adjustments than can be made to plans, they can be made into group plans, etc. What's the Cost? -- I encourage you to look over the Logos 5 Base Packages. Logos as a whole isn't cheap and buying digital resources isn't like buying Kindle books, where you almost always can spend a few dollars less (sometimes far less) for a digital book. Not the same for individual books on Logos. The paper and Kindle copies of Grudem's Systematic are both under $30 and Logos lists for $40. Yet I've seen some sets that are significantly cheaper to get as a whole on Logos (49 Tyndale commentaries for $225). The question is really how you will use these resources and what makes the best use of them. I thought about Logos like I thought about most Bible study software, that I'm paying for the ability to study the texts, original languages, etc. It's much more than that and the costs I believe are worth it. I'll say more about that in a little bit. 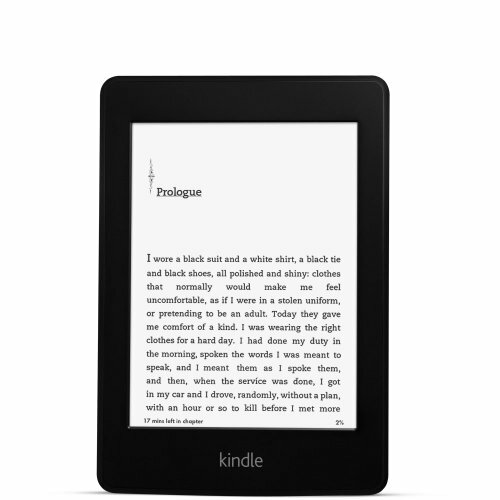 Let me add that Logos gives away a book every month and regularly has other giveaways. I just entered one today. There's also community pricing, pre-pub specials, and more. Logos is Slow? -- I've seen people say (and at times felt myself) that Logos is slow. And to be sure...upgrades, downloads, and indexing take some time. But every moment of "slow" is speeding up something else. You get to search those books and have more resources to use in less time than it takes to look up each paper book. Those things that take time are necessary to create one place to conduct one search and have every resource listed. You can always pause indexing and such for a time when it works better for you. The tradeoff is one of the best tools you could have for Bible study. I'll take that tradeoff. Paper vs Screen? -- I'm a huge fan of paper books. I'm also a big (and growing) fan of iPad and Kindle for books. While I don't ever see me replacing paper books completely, the helpfulness of being able to search a library is too good to pass up. Sure if I want to read a book from start to finish I'll often get paper or Kindle. But I can already see doing the majority of any prep work for teaching on Logos and the need to begin adding collections to my base package of resources. I have a big personal library with many physical resources for sermon prep and Bible study and I just can't search through every book I'd like to for every sermon. I can see replacing large sections of my library with Logos. It makes each resources much more useful. Logos vs Other Digital Books? -- The crucial difference between Logos and other searchable, digital formats is that Logos indexes your books for one big search of your whole library. This is why a Logos book is worth more. You will use books more and at times you may not consider its usefulness because searches will find things you will never think of looking up in a number of your resources. It's hard to explain the full value of this. Let me put it this way: Every book you own (paper, Kindle) is searchable by you. Paper using an index, table of contents, looking up highlights, or oven using a filing system by which you record helpful passages by topic. With Kindle you can search for words. But with Logos its one search through every resource at once, do more complex searches, etc. It's not even comparable as far as ease of use, time consumption, or getting best use of a resource. With my 2,400 volume library I essentially have 2,400 books I can search individually. Now imagine one search through 500 or 1,000 of the most key resources with one results list. I can imagine it, and I want it. I've only gotten started. Conclusion -- I'm a big fan of what Logos is doing and what it can do as I continue to add resources. I encourage you to look deeper at Logos. Compare cost to things like time, fuller usefulness of resources, and similar judgments and I think it's well worth the money. I love paper books too, and how they feel in my hands and how they smell. But what I like best about books is the content and Logos makes the most of it. See more at Logos.com. Stories With Intent by Klyne Snodgrass | [Amazon | Kindle | WTS] I got a lot of recommendations to pick up this book after a tweet asking for the best resources on the parables. After wading into the first bit, I've already collected a number of insights and quotes. And it's a massive resource. Excited to read more. Jesus Through Middle Eastern Eyes by Kenneth Bailey | [Amazon | Kindle | WTS] Kindle version is 1/2 the price of the paperback. I've read the introduction to the section on the parables. Excellent. Turning Your World Upside Down by Richard Phillips | [Amazon | WTS] I've used this before and it's been helpful. The Challenge of Jesus' Parables edited by Richard Longenecker | [Amazon] Some good stuff from various essays by leading scholars. Preaching the Parables by Craig Blomberg | [Amazon | Kindle | WTS] Haven't read much yet, but heard many good things. Glory Veiled & Unveiled by Gerald Bilkes | [Amazon | Kindle | WTS] I love that this practical, devotional, personal book is there to temper more scholarly books above. Ezekiel's rhetorical agenda is clear: to transform his audience's (the exiles') perceptions of their relationship with Yahweh and ultimately to change their behavior. But how does he seek to get his message across? That the prophet is portrayed almost like a puppet, with Yahweh pulling all the strings, might lead one to expect a bland and routine answer to this question. But the opposite is the case. In my view, no other prophet is so creative in his presentation of his mesage, and none is as forceful. The rhetorical strategies reflected in this collection are both visual and aural, all designed to penetrate the hardened minds of his hearers. Two great new resources from Tim Keller via The Good Book Company, both on Galatians. First is Galatians For You (also WTS), a book length expository guide to Galatians. Second is Galatians: Gospel Matters, a seven lesson study guide for individuals and groups. Get a free Galatians Bible study by Timothy Keller with every copy of Galatians for You. Simply add Galatians for You to your cart and you will be offered a free copy of Galatians: Gospel Matters at checkout. Offer valid until March 31st, 2013. Any words that are used rarely or differently in everyday language outside the church are marked in gray when they first appear, and are explained in a glossary toward the back. I'm looking forward to adding each new expository guide to my library as they are released, and they will be some of the most recommended books in my church because they are accessible to every Christian at every level of maturity in Christ. What a great idea! The Good Book Company needs to be on your publisher-radar if they aren't already. I'm not only using this resource; I'm using other study materials for discipleship in our church. Good stuff on The Good Book. I'm not sure I've posted this before, but even if I did it's worth putting up again. David Cooke has posted Keller's Five Questions over at Cookies Days (a blog you should check out). He first posted it in 2009, I believe. Keller said these are five questions he asks of a biblical text as he reads it for himself. Helpful. How can I praise him? How can I confess my sins on the basis of this text? If this is really true, what wrong behavior, what harmful emotions or false attitudes result in me when I forget this? Every problem is because you have forgotten something. What problems are you facing? What should I be aspiring to do on the basis of this text? Why are you telling me this today. Exploring Identity: 21 Days To Discovering Who You Are In Christ - Molly gave a little creative feedback on this project and enjoyed it a lot. We have copies to give away to mothers and daughters. From Founders Press, Whomever He Wills edited by Matthew Barrett & Tom Nettles. It has some outstanding authors who have written different essays, including a forward by Timothy George. Founders Press has more info. Check it out. Another book worth checking out is the Mission of God Study Bible (HCSB) edited by Ed Stetzer & Philip Nation. Been looking forward to this for some time, and it looks great. Contributors include good pastors and thinkers like Trevin Wax, Matt Chandler, Joe Thorn, Eric Mason, and Tullian Tchividjian. This is a nice addition to the growing group of excellent study Bibles out there. Very often we find it difficult to share our faith. In the workplace, neighborhood, or social settings, talking about the gospel doesn’t come up naturally. “Jesus” isn't a topic that hits the neighborhood Google groups, flows naturally on coffee breaks, or crosses our lips in local pubs. But when it does, all too often what we have to say is simply unbelievable. Even the way we share the gospel is often unbelievable. Are there actually good reasons for our hesitation in talking about Jesus? Despite what you might think, there are very good reasons for not talking about the gospel. In Unbelievable Gospel, Jonathan Dodson explores ways we shouldn't share the gospel as well as ways we could, to make the gospel more believable. You can also see Desiring God's Helpful Quotes from The Unbelievable Gospel and reviews by Luma Simms, Tom Farr, and Greg Willson. Go buy Unbelievable Gospel. Help Crossway - Urgent Need! I got an email from my friends at Crossway on a great opportunity to get a massive grant. Please help, give, spread the word! From the email..
As you may know, Crossway is a not-for-profit ministry that relies in part on gifts from people like you to accomplish major ministry projects worldwide. We’ve recently been presented with an extraordinary opportunity. Generous donors have offered an all-or-nothing matching grant if we are able to raise $270,000 by May 31st—just days from now. This grant could not have come at a better time. In God’s kindness, we currently have unprecedented opportunities for creating, translating, and delivering ESV Bible resources for Christians in great need—especially in China, India, and multiple countries in Africa. Will you help us toward meeting this matching grant before the end of May? ...a gift of any amount will help Crossway provide significantly more Bibles and Bible study resources to the church worldwide. We would be grateful for your generous response to this urgent opportunity. Give here or view the progress toward our goal. Please support Crossway. Their books have been such a blessing to many and the ESV is my favorite translation. I'm working on choosing (or tweaking) a Bible reading plan for my family for 2012 so the kids can each work through some of their ESV Student Study Bibles, and so we can enjoy daily family discussions on what we are all reading at the same time. Thought it might be nice to list a couple of resources I'm looking at for the Bible as well as other good theological and devotional resources. Justin Taylor has a wonderful (fairly comprephensive) post on many reading plans out there, including options you may not think of on your own. He also has a post that includes a reading plan for Calvin's Institutes. Joe Thorn's reading plan for the Puritan prayers found in Valley of Vision might be a great way to start the year devotionally. The ESV has a number of plans available, and the ESV Journaling Bible I now use daily has a plan in the back I'm considering. David Murray, who has quickly become one of my favorite thinkers through his blog and Puritan Reformed Theological Seminary podcast, has a yearly children's morning and evening Bible reading plan. The explanation is here, and the plan is here. Please feel free to share other plans you recommend or the plan you are using next year. 1. Summation, Connection, and Implication. I often write out a summation of certain truths, arguments, or passages that make things clear for me. Some people won’t like that the ESV Journaling Bible doesn’t have cross refernces, but I like that I get to add my own. I’m even throwing helpful quotes from other writers/theologians when helpful to me or those I may wind up teaching. Check out the rest of his post. And check out the ESV Journaling Bible (also in black calfskin, natural brown leather, and other editions). Perry Noble is lying? - ouch. James MacDonald defends Perry. Thanks to the fine folks at Crossway, I have an ESV Student Study Bible to giveaway to one of the readers of Reformissionary. If you are reading this, that means it could be you. You can buy it in Hardcover, Trutone Taupe, Trutone Navy, or (coming soon) Trutone Brown/Blue Arrow. I have the hardback and I just bought Sarah (14) the Trutone Taupe. We've started using it to read & discuss Esther together. I really like it so far, and glad to have this resource for my kids. STEP 1: Copy & share the following without the quote marks on Twitter (if you aren't on Twitter, use Facebook, or do BOTH! ): "The ESV Student Study Bible for FREE! RT this & comment at Reformissionary for a chance to win: http://bit.ly/q4LWTN "
STEP 2: Leave a comment below (so I can verify you did step 1). Include your full name and real email address (kept private) so I can contact the winners. For fun, also comment on your favorite, guilty-pleasure snack. I will randomly choose ONE winner in the late afternoon/early evening on Friday (16th). I already bought my ESV GreekTools. Go get it. It would also be helpful to peruse the various quotes over the last few weeks I've posted from Spurgeon and others. I just want everyone to know what the context is, that I feel there needs to be a movement of sane, theologically-sound, gospel-centered preachers into the open-air again. Now, to the post. And this is where the "sane" part comes in. One question I get is, How does the idea of public preaching jibe with being missional? My response is that I think it will enhance it...if we do it well. Mean open-air preaching is obviously bad and will kill relationship opportunities. Or even preaching good words but with a bad, unfriendly demeanor can hurt. So my take on good open-air preaching is that it's the guys who get "missional" that will do it well and better. So here are my thoughts. I don't have it all figured out by any means. Trying to get these thoughts down takes a lot of editing and I probably still need to change some things. So I very much need your feedback. To be Missional is to live as "sent." The church lives sent as the missionary, we are all missionaries. Somehow we make that about being only relational, meaning evangelism must almost always take 6 months to get to the gospel. I may be overstating it, but at least hear where I'm coming from. I'm sensitive to this approach, embrace it, and want to do evangelism well in whatever form it comes and however long it takes. But for those called of God to preach, we then by preaching publicly (outside our buildings, apart from Sunday mornings) will be scattering seeds that will lead to better opportunities for our people to live missionally. It provides the chance for Christians who attend our open-air preaching to connect with the listeners with a relational response. It will also create a larger swath of people in our communities who are hearing the Gospel or at least touched by the positive or negative buzz it creates. Let me illustrate, and I think I remember most details correctly. I would not do it this way, but it helps to show that even in a less than ideal approach, we can still through a kind of open-air preaching make missional connections. I remember reading of a guy who would go sit in a bar next to folks and order a soda. A bit later a friend would come in, start preaching the Gospel openly and loudly, and then fairly quickly would get kicked out for obvious reasons. The dude at the bar would then look at the shocked people around him and begin to say, "Wow, that was weird. What do you think about what that guy was saying about Jesus and salvation?" And then would in a more relational way, connect with the lost. BUT, imagine if our open-air preaching IN ITSELF is missional-flavored? I'm not just meaning it's a way of getting our "missional" people there to make "missional" contact. I mean that being missional should affect the preacher's approach to the audience. That our desire to be relational should affect very much what we say in public preaching, and how we say it. What would missional open-air preaching look like? We see ourselves as local. My posts have not been about itinerant open-air Gospel bombers who hit-and-run and let the locals figure it out. I'm talking about pastors who are called to love their cities toward Jesus getting the Gospel in the open-air again. So the ultimate goal in evangelism, of whatever sort, is to make disciples. Disciples are made in relationships, though it may start without it (Acts 2). And that means we aim that our hearers in open-air preaching will eventually (Lord-willing) join our churches and connect in Gospel-centered community with us. Our open-air preaching will be winsome to those being saved, though it will be foolishness to those who are not (1 Cor 1:22-24). Be Prayerfully Broken First | Don't start preaching until you feel heat from the flames of hell that the people you are about to preach to will face one day soon. Don't start until you weep over them in prayer. Don't pump yourself up beforehand with rock music, trying to gain the courage to get out there and "go get'em." Calm yourself by seeking the Lord for them, remembering your own helplessness to change any hearts apart from the Spirit's work. Remember you want to gain a relationship with the people you will speak to. Be Real | When have you seen and heard an open-air preacher who seemed like a guy who really cares about you? Who didn't seem distant? I've never experienced that, except one time after conversion watching a friend doing it. I watched him truly listen, look in their eyes. Compassion was written on his face. Longing for the hearers to be saved was clear in his words. His heart was on his sleeve. Missional open-air preaching demands that you are acting like a person who wants to relate to people. That you not only feel compassion toward your hearers, but that it's apparent. You are genuine. You have a personality. You are appropriately transparent. You don't take attack personally, but absorb it because it may help that guy or that girl to see your suffering or the insults and see something different about you. Leave your placards and signs and clever tricks behind. Leave your creative canned presentations behind. Just be a guy who loves Jesus and these people, and has no desire to argue. Talk how you talk. Be who you are. Speak to who they are. And speak through your longing for them to know our great God. Be Gentle & Respectful | They will expect you to judge them, to yell, to stand in pride of your position over them. What if you don't respond as loudly as them? Teachers at our local school were telling us that getting louder to talk above a class full of loud students just keeps escalating. If you lower your voice, they will lower theirs to hear what you are saying. Has any open-air guy tried that? Most preachers I've seen just keep ramping up. Even the ones preaching the Gospel more clearly! We are called to gentleness in the hope that we lead people to repentance. 2 Timothy 2:23-26 | Have nothing to do with foolish, ignorant controversies; you know that they breed quarrels. 24 And the Lord's servant must not be quarrelsome but kind to everyone, able to teach, patiently enduring evil, 25 correcting his opponents with gentleness. God may perhaps grant them repentance leading to a knowledge of the truth, 26 and they may come to their senses and escape from the snare of the devil, after being captured by him to do his will. 1 Peter 3:14-16 | But even if you should suffer for righteousness' sake, you will be blessed. Have no fear of them, nor be troubled, 15 but in your hearts honor Christ the Lord as holy, always being prepared to make a defense to anyone who asks you for a reason for the hope that is in you; yet do it with gentleness and respect,16 having a good conscience, so that, when you are slandered, those who revile your good behavior in Christ may be put to shame. I'm not calling for more open-air preaching like we have. I'm aiming at something relational, gentle, humble, respectful, honest, calm, reasoned, genuine, real, and heartbroken. I was invited to Crossway Books in Wheaton for the release of the Four Holy Gospels project featuring the ESV version of the four Gospels in a giant book format illuminated through the artwork of Makoto Fujimura. The whole family got to attend and I really enjoyed it. Upon arrival the crowd was abuzz, the sugar water was flowing, appetizers were being served, and within a few minutes my wife and four kids found and "cornered" Mako. I was busy talking with Collin Hansen who introduced me to Stan Guthrie, an editor at large at Christianity Today. Then I noticed Molly talking to Mako and looking for me. That's a good woman. So I ditched Collin and Stan, who (I think) understood my abrupt departure, and went to talk to Mako. He was kind and humble. We talked about his church, Redeemer in NYC, and his time at Resurrection Presbyterian during their time as a plant. I mentioned how much I have enjoyed his book, Refractions, which really is a great book on faith, art, and culture. So glad I got a chance to interact with one of my favorite artists of any stripe. Then the presentation got formal as Mako and others spoke. The Four Holy Gospels really is beautiful. I'd love a copy, but can't afford one just now. It's $130 (cloth) through Crossway (or $350 leather, wow), but you can get cloth on Amazon for $73.40. I can imagine sitting down with my family every night and reading through the Gospels illuminated by this great artwork. The Four Holy Gospels incorporates five large-scale paintings, including the frontispiece, “Charis-Kairos (The Tears of Christ)” and four opening plates (one for each of the Gospels); plus eighty-nine initial letters (each painted, and many adorned with gold flecks and foil) specifically created for each chapter opening; as well as more than seventy individually-painted reflections and embellishments complementing the Gospels. I do hope many will take advantage of the opportunity to own this unique piece of art. I'm grateful to Crossway for the invite, and grateful for the chance to look through this beautiful book and meet Makoto Fujimura. Visit Mako's website, read some of his writings, and follow him on Twitter @iamfujimura.